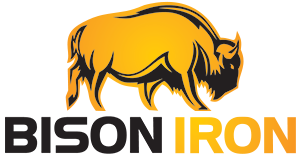 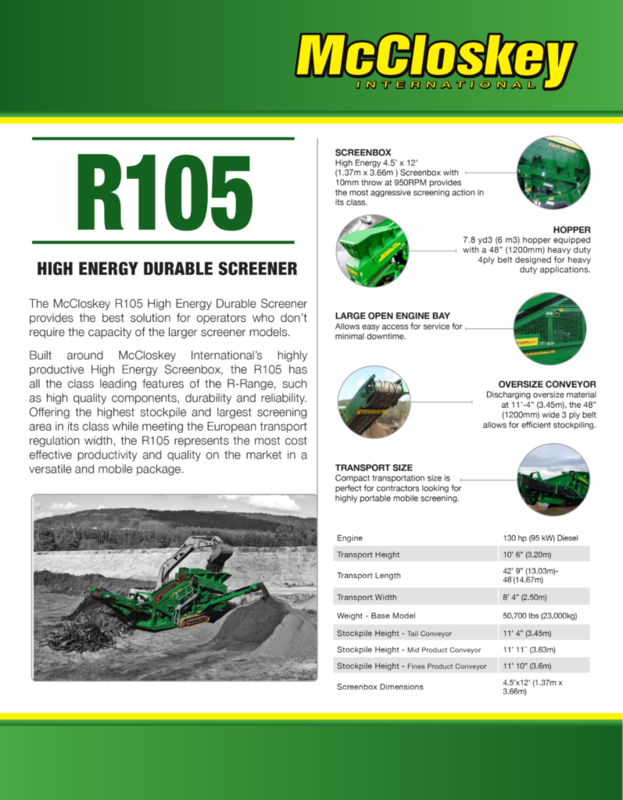 R105 SCREENER – Bison Iron Corp. 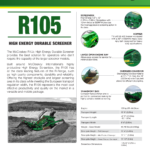 Built around a highly productive High Energy Screenbox, the R105 has all the class leading features of the R-Range, such as high quality components, durability and reliability. 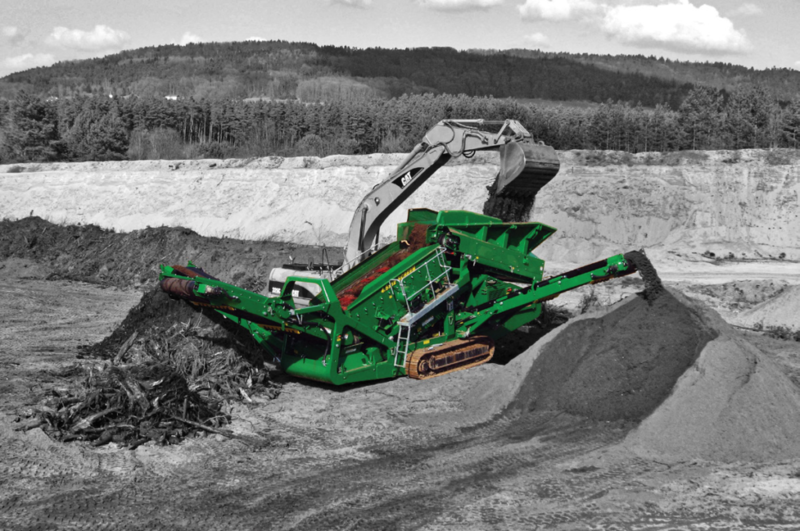 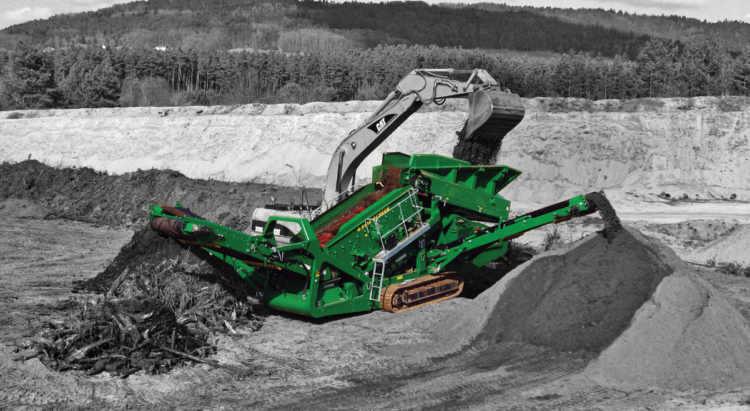 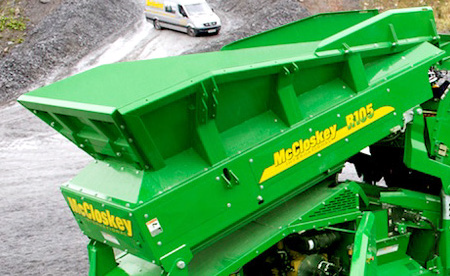 Offering the highest stockpile and largest screening area in its class, the R105 represents the most cost effective productivity and quality on the market in a versatile and mobile package. 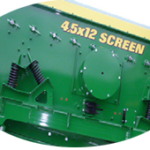 High Energy 4.5’ x 12’ (1.37m x 3.66m ) Screenbox with 10mm throw at 950RPM provides the most aggressive screening action in its class. 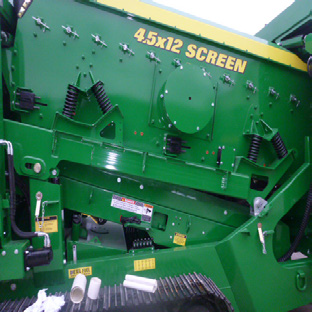 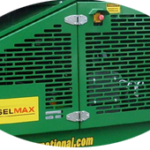 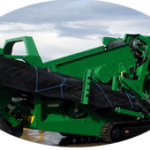 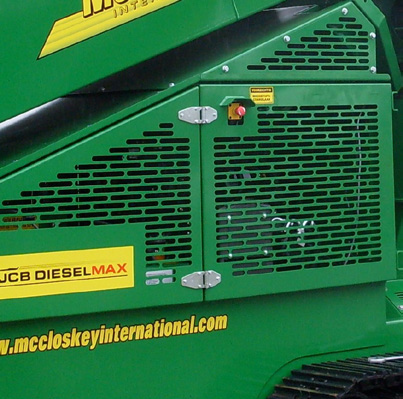 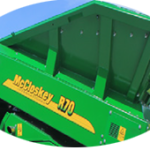 Allows easy access for service for minimal downtime. 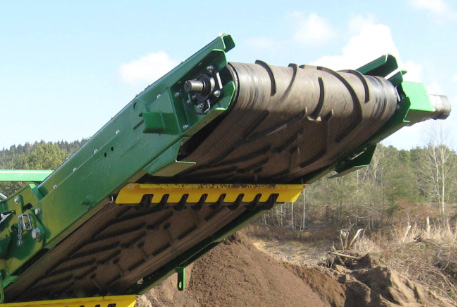 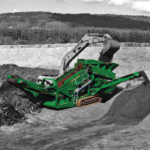 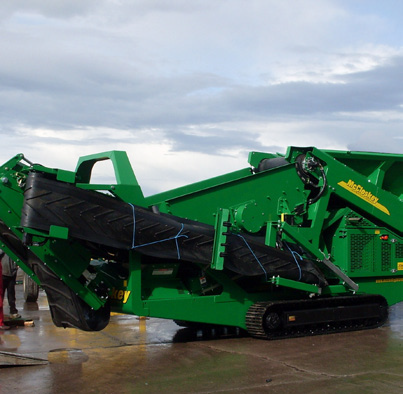 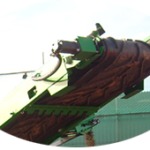 Discharging oversize material at 11’-4” (3.45m), the 48” (1200mm) wide 3 ply belt allows for efficient stockpiling.